Here at The Salon Brisbane we strive to make each visit a positive experience. With great deals available and every care taken to ensure the best service possible, you will walk out feeling like a million dollars. We take great pride in our work, using Clairol Professional colours and products to ensure hair is left feeling and looking fantastic! We offer magazines and refreshments to each client, and a free wash and relaxing scalp massage is available with every service. Check us on Facebook (search The Salon Brisbane) for reviews, customer feedback, prices, deals and photos of some of our work or come in and see us for a free consultation. Late Night Wednesday!!! Studio A Hair Productions is a trendy new Salon in Brisbane's North West suburbs with a focus on customer satisfaction. We also have an amazing membership program that allows you to pay small amounts regularly to ensure you keep your hair in style all the time. Just ask us for further details or check out our face book page. Finding time to get gorgeous skin can be a challenge for any woman, somehow it has to fit in between the husband, children, work and the million tasks you have to do every day. Surprisingly, getting the skin you want doesnt necessarily mean expensive treatments or surgery. Treating your face right can be easy; it can also mean less make up and less time getting ready each day. Feel confident and beautiful with the range of non-surgical rejuvenation services available at Creare Clinic. Apart from luxurious but affordable skin care, which instantly revives your skin, you can renew and refresh your skin with microdermabrasion treatments or chemical peels. As for those stubborn lines and wrinkles, anti-wrinkle injections and dermal filler treatments can erase that tired weary look, and rejuvenate your face to look as young as you feel. Our mission at Studio A Hair Productions is to delight each client every time we come in contact with them. We want to build lasting relationships by making our clients feel comfortable and welcome. We want to do more than just create gorgeous hair. We want to ensure that every visit to our salon is a positive and rewarding experience Our Service Offering at Studio A Hair Productions Studio A Hair Productions is an independently owned Salon that provides quality hair services to men, women and children that includes hair straightening, quality colour, blowouts, balayage highlights and more. 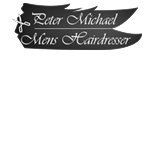 We offer school formal and bridal packages and all services will be supported by consultation and the use of quality, branded Wella or Milkshake hair products. We have talented staff who are experts in colour are here to make you feel special and we rely on you as a customer for our service to grow. We will take the time to find out what you really want and check to make sure you are satisfied. Please reward us by recommending us to your friends.